Thinking about trading in your vehicle or maybe just outright selling it? For starters, we at Go Auto Outlet are happy to hear it, as we accept trade-ins and buy used vehicles all the time. You’re more than welcome to contact us for an appraisal, and to give you a good idea of what you can expect and how to come in prepped and ready to go, read on. This article is all about helping you answer the question “how much is my car worth,” as well as what you can expect during an appraisal here at Go Auto Outlet, offering vehicle appraisals in the Edmonton and Leduc areas. There are many tools out there to help you determine your vehicle’s approximate market value. One of the best tools here in Canada is Canadian Black Book. The company has been providing vehicle values to the automotive industry for over 50 years now. In fact, they have an interesting relationship with dealers like Go Auto Outlet in that they accumulate sales data from these dealers, and manufacturers too, and then apply a proprietary process to determine vehicle market values. These values are a guideline to be used during vehicle evaluation both by owners and dealers like Go Auto Outlet. The CBB tool is very easy to use, and you’ll have a number in next to no time. 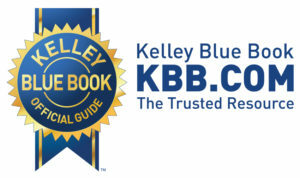 Another useful tool in vehicle evaluation is the Kelley Blue Book, and we recommend this tool for anyone interested in trading in their vehicle for another one. From their site, you can determine a fair purchase price for a vehicle, new or used, and the 5-year cost of ownership of that vehicle. You can also browse those vehicles that have received numerous awards, or read expert reviews. how do dealers evaluate vehicle worth? The vehicle accessories, such as the keys, remote starter, user manuals, spare tire, etc. You’re welcome to bring your vehicle to us for evaluation, and we’ll likely be able to do it on the spot! But perhaps you’d like to get the appraisal done before you come in to see us. We offer an online appraisal form that will send your vehicle information right to us, and within 24 hours, we’ll respond with an approximate quote! The more you tell us about your vehicle, the more accurate a quote we can give (subject to viewing). Tell us a bit about your vehicle, like what modifications or trim options it has, and any damage in might have incurred. We hope all this helps you answer the question, “how much is my car worth” and that you’re reassured that you’ll receive accurate vehicle appraisals in the Edmonton and Leduc areas from our team here at Go Auto Outlet!